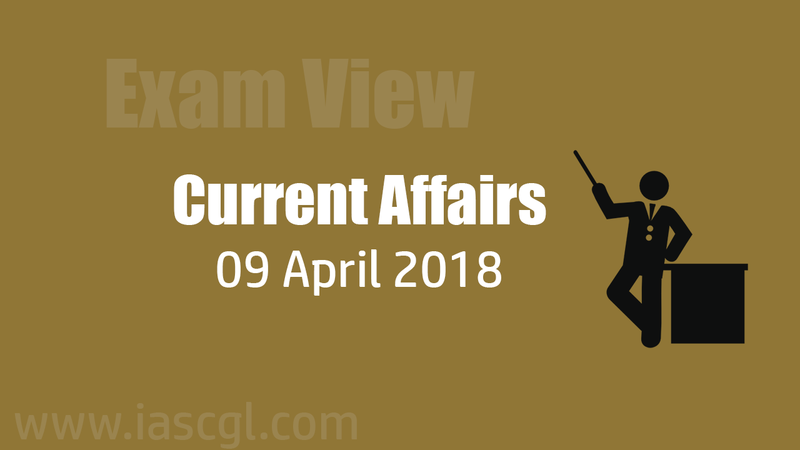 Current Affair of 09 April 2018, Exam View. The Uttar Pradesh Government launched the Ganga Hariteema Yojana, also known as Ganga Greenery scheme, on April 7, 2018 in the 27 districts of Uttar Pradesh that are located on the bank of river Ganga. Common people will also will be encouraged for plantation on their private lands under 'One Person One Tree' slogan. Amidst concerns about the shrinking agricultural space and the distancing of people from farming, the Kerala government is getting ready to start a 'community radio' to update them of the latest developments in the sector. University of Hyderabad (UoH) has discovered two languages, which have been lying hidden from linguists. They are spoken in Andhra Pradesh and Odisha. Prof Mohanty of the department of linguists, discovered two languages - Walmiki and Malhar. Linguists do not know that these two languages exist. Only a few people living in the forest and hilly areas speak these languages. Surprisingly, they have remained out of public focus. The International Roma Day was celebrated on Sunday in several parts of the world and several organisations, on the occasion, raised awareness of the issues facing Romani people and their culture. Japan has activated its 1st marine unit since 2nd World War to counter invaders from occupying Japanese islands. The Amphibious Rapid Deployment Brigade is the latest component of a growing marine force that includes amphibious ships & assault vehicles. After WW2, a clause was written into Japan’s constitution which stated that armed forces with potential to wage war would not be maintained. India continued to bag gold medals in Commonwealth Games 2018, with weightlifter Punam Yadav and 16-year-old shooter Manu Bhaker winning a gold medal each. Yadav bagged hers in women’s 69kg weightlifting, while Bhaker’s came in 10-metre air pistol event. Shooter Heena Sidhu won the silver medal in the 10-m air pistol event at 21st Commonwealth Games being held in Gold Coast, Australia. 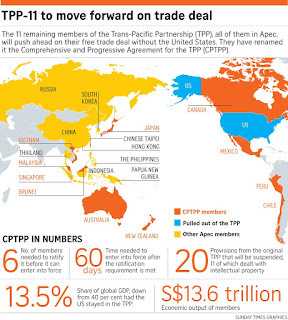 The CPTPP is a new free trade agreement between 11 Asia-Pacific countries. Its members—Australia, Brunei, Canada, Chile, Japan, Malaysia, Mexico, New Zealand, Peru, Singapore and Vietnam—constitute 13.5% of the world economy. The economies of the CPTPP members will be made 1.7% larger than they would have been, on average, by 2030. It provides freer trade and investment access among its members. After USA withdrawing itself from Trans Pacific Partnership agreement, the other members of TPP planned to go ahead by signing the CPTPP agreement. 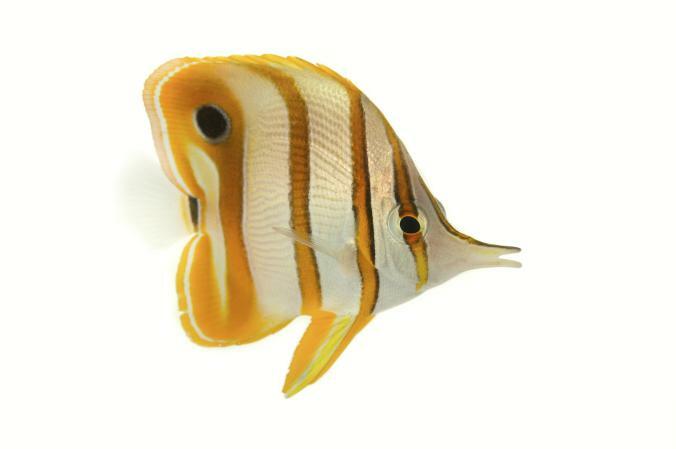 In order to survive, melon Butterfly fish changed their behavior to adapt to coral death caused by climate change. The bleaching event of 2010 killed patches of corals in several reefs off the Lakshadweep Islands. Despite these large differences in coral cover across the reefs in Lakshadweep, melon butterfly fish numbers were similar in the region. Butterfly fish relies on live coral for food and has been shown to decline substantially (67%) following climate-induced coral depletion. This species is widely distributed in the Indian Ocean, ranging from coastal East Africa to Raja Ampat (Indonesia), and Christmas Island (Australia). It is found in coral rich, protected areas in lagoons and on seaward reefs. It is found at depths of up to 20 m.
The species has declined significantly in Seychelles where there has been coral loss and bleaching.